I remember admiring my Gran’s ever immaculate nails and wishing my own nails would grow to be like them when I was bigger. I have been finding that my usually weak and breakable nails have grown in both length and strength since I have been wearing nail polish more regularly. This is a major breakthrough for me and only took a couple of decades!! As I tend to use Zoya nail polishes the most, it made sense to order the Zoya 3 in 1 Formula Remove+ from Amazon (£10.50 inc free delivery). I am not really one to shy away from vibrant colours which are naturally more difficult to remove, probably no shock there, so I need nail polish remover that works. I love that this is portable bottle has a flipper lid and is easy to dispense. The Zoya 3 in 1 Formula Remove+ removes nail polish, cleans, preps and conditions the nail so it is ready for your next nail polish. Does it work? Yes it 100% removed all of my deep dark red nail polish with some ease. Does it smell? Yes a bit, but not as much as regular nail polish removers. Does it dry out the nails? I personally like to give my nails a bit of extra love with some Argan oil in between nail polishes but I did find that this nail polish remover did not dry them out as much. How toxic is the product? There are some chemicals in this product and it has an EWG score of 4. That being said it is a lot less toxic than many of the alternatives! Previous Post When you drop your natural deodorant! 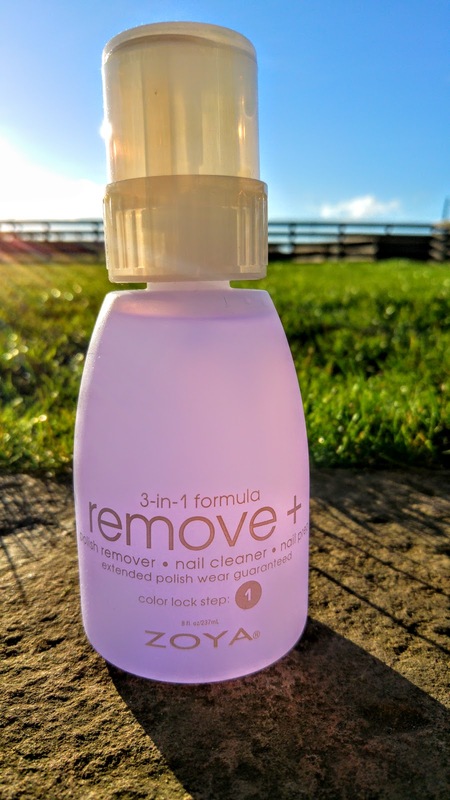 Thanks for reviewing this – I've been struggling with sourcing a 'less toxic' nail polish remover recently so this is definitely on my shopping list now.